Residents who have not yet contacted WCB may file a claim by visiting www.paulsborowatersettlement.com. 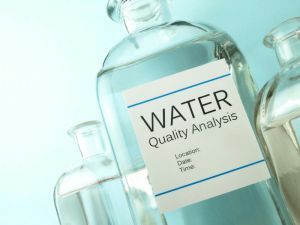 PAULSBORO – A West Deptford plastics company must pay for blood testing of Paulsboro residents who drank from the borough’s contaminated water supply. Solvay Specialty Polymer and Arkema — entities that operated a manufacturing plant at 10 Leonard Lane in West Deptford — have not admitted its operations discharged PFNA (Perfluorononanoic acid) into the borough’s water supply, as a class-action lawsuit claims. Individuals who lived in Paulsboro for at least a year between August 2009 and April 2014 or owned property between the dates of August 2013 and April 2014 may be entitled to compensation. Residents may also be eligible for a test to detect whether they have the chemical in their blood. Details of the settlement are available from the Court’s docket, Case No. 1:14-cv-01870-NLH-JS.